Tuesday and see who our winner is and who has been chosen to be in our Top 3! Today is my birthday (Calypso)!!! So we are going to celebrate with an "Anything Goes" Challenge and some amazing sponsors. So lets get right to it!!! 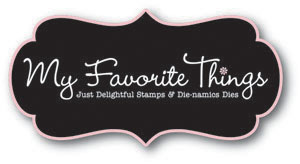 As usual, our design team has been busily creating some projects for you, using Clearly Sentimental about Art, clear stamps donated to us by My Favorite Stamps. Happy Birthday. I celebrated my birthday Fri 10/5. I'm 30 something again since I always say I'm Forever Young. Wonderful variety of DT creations. Great inspiration from your DT! Where is Mr Linky? I'm looking for the linky to see other people's entries and the linky seems to have disappeared. lovely DT work...thanks for the anything goes challenge! Wonderful DT creations. Thanks for the inspiration. Happy Birthday. It seems like there are a few of us Librans. Mine is 9 October (tomorrow here but probably two days away for most of you!). No housework tomorrow and plenty of cardmaking sounds just right! With Mr Linky missing I will attach my link here...is that okay? Happy Birthday Calypso! Have a wonderful day. Gorgeous cards by the team. Thanks for the fun challenge! Happy Birthday : ) Hope it is fabulous!!! Thanks for a great challenge and the fabulous DT inspiration. Belated Birthday wishes Calypso ... hope you had a great day! Thanks for a fun challenge and for lovely inspiration from the DT! Great DT works. Thanks for the chance to play along. I'm sorry I entered the wrong card for #192, I don't know how to delete it. Thanks for the chance to play along with this challenge. I love this kind of challenge because the style and designs can be endless. Love the design team creations. Just beautiful. Why not check out my blog formy blog Candy Give-Away! Wonderful work from the DT! Fab work from the DT. Happy Birthday, Calypso! Thanks for the challenge and gorgeous inspiration from the DT!